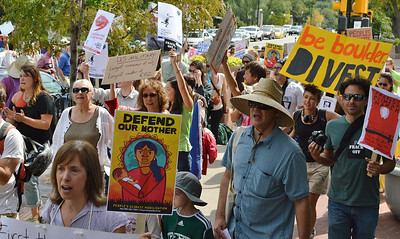 People's Climate March in Boulder, Colorado, 9/21/14. 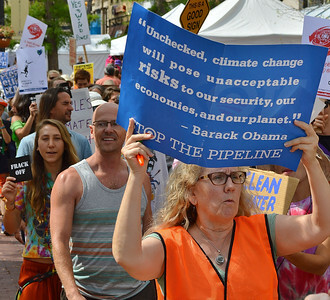 Includes images of rally on climate change then a march through downtown, protesters displaying signs about global warming, climate change, fracking, KXL pipeline, solar power, wind power. Marchers include seniors and young children. 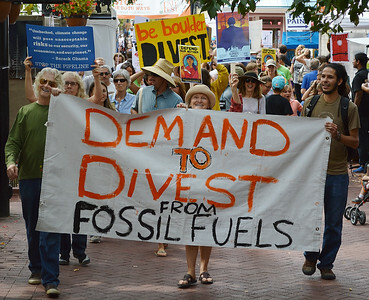 Three protesters carry banner about divesting from fossil fuels, behind them alrge group of people marching with signs about climate change. 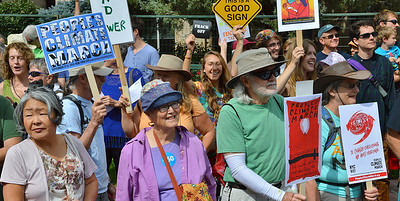 Group of seniors at climate change march, some holding signs, other younger protesters with signs behind them. Senior man wearing anti-fracking t-shirt and holding climate march sign with drawing of President Obama looking out window at smokestacks, other demonstrators behind him. 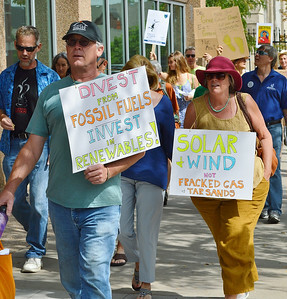 Man and woman marching with signs about divesting from fossil fuels, and solar and wind power, other protesters with signs in background. 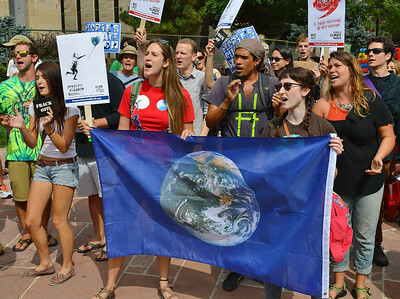 Two young women shouting while holding flag with photo of earth on it, large group of protesters behind them also shouting. 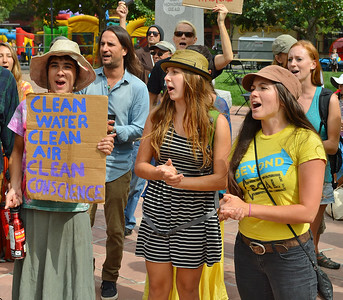 Three young women shouting, one holds sign about clean air and water, other protesters behind them shouting. 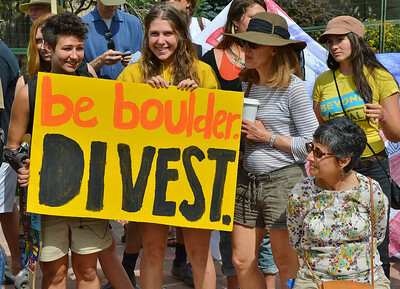 Group of young women holding banner about divesting from fossil fuels. 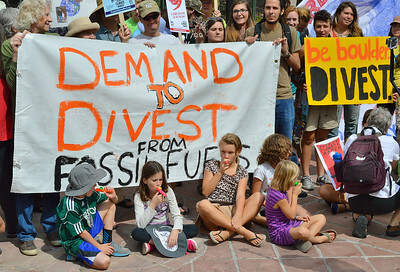 Group of young children blowing on kazoos while sitting in front of large banner about divesting from fossil fuels, other protesters standing in background. 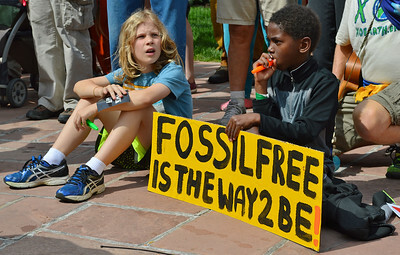 Two young children holding kazoos, one an African-American, also holds sign about fossil fuels. 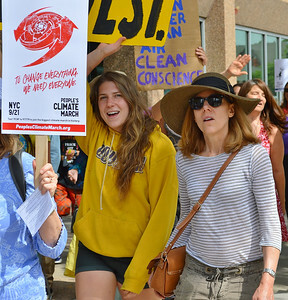 Two young women marching, other protester beside them with sign about climate change. 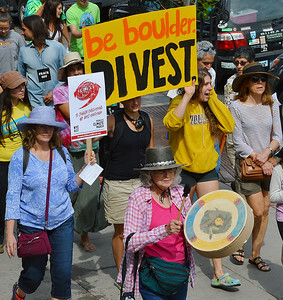 Senior woman marching, banging on drum, other protesters behind her with sign about divesting from fossil fuels. 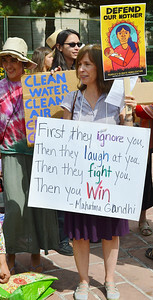 Woman holding sign with Ghandi quote on it, other protesters behind her with signs about clean water and mother earth. 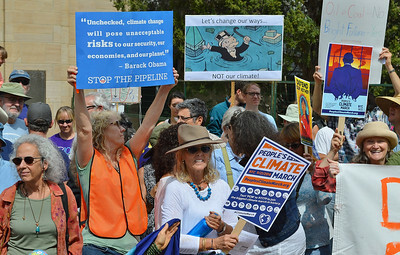 Group of senior women holding signs about KXL pipeline and climate change, other protesters in background. 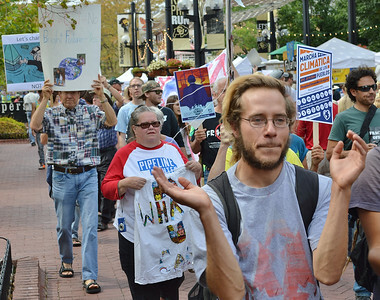 Young man clapping hands, behind him people marching with signs about climate change. 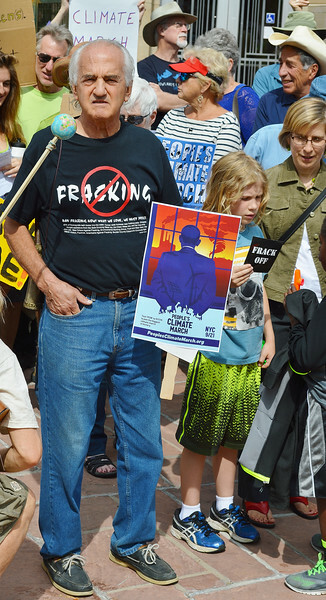 Woman carrying sign with quote from President Barack Obama opposing the KXL pipeline, other protesters with signs in background including young woman with sign that says "frack off". 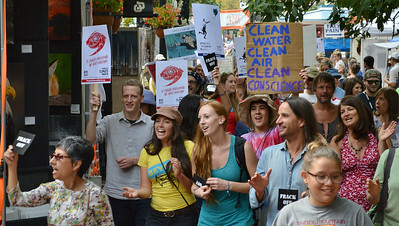 Large group of protesters marching with signs about climate change, clean water and clean air. 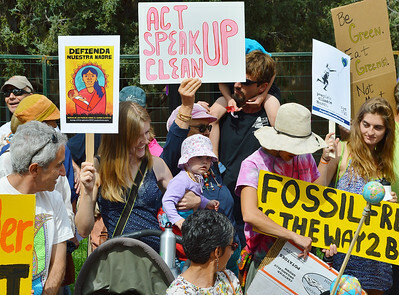 Group of protesters holding signs about climate change, one woman smiling as she looks at small child she is holding, others turning to look too. Man and woman holding sign about climate change with picture on it of roller coaster track that collapsed in ocean from hurricane Sandy. 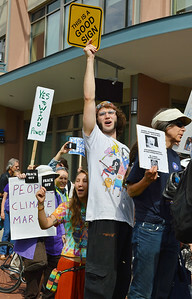 Young man raises sign in the air that says "This Is A Good Sign", other protesters with signs about climate change in background.